Researcher Nancy Smith-Hefner was chatting to university students in the city of Yogyakarta, Indonesia, when she noticed a trend. In a country with near “universal marriage,” where only 2% of women in their late 40s are estimated to have never married, young women were saying they wanted to finish their education and embark on fulfilling careers before getting hitched. Smith-Hefner was struck by some problems faced by those following that path. The young women were trying to fit so much into a small window of opportunity that it sometimes seemed impossible. Having concentrated on graduating and working hard, they ended up wondering how to find a partner with whom to start a family. Sometimes, this state went on and on, becoming a source of stress and disappointment. They worried: Is it just me? It’s not just them. In fact, Yogyakarta’s young people are experiencing a phenomenon that’s being felt across the globe, from Brooklyn to Paris, Rwanda to Japan. It’s called “waithood”; and it might be leading to a fundamental change in the way we think about love and partnership. Smith-Hefner, an associate professor of anthropology at Boston University, has been researching Asian societies for years, but when it came to waithood she started to see clear parallels between the young Indonesians who were the subject of her research and her young American students back home. “They too are facing this problem of how to find a partner,” she said. Marcia Inhorn, a professor of anthropology and international affairs at Yale University, convened a conference on the theme of waithood in September. The umbrella term can refer to delaying other decisions, such as moving out of one’s parent’s house, or taking on other trappings of adulthood like home ownership. Diane Singerman, associate professor in the department of government at American University, Washington DC, coined the term “waithood” in 2008 after studying young people in the Middle East. In her conception, the term relates to both genders and is at root economic. In many places - such as Egypt, where some of Singerman’s research has focused - marriage is just too expensive for young people to manage, while having kids outside of that formal union isn’t yet socially acceptable. This kind of waithood can hit young men hard: A youth bulge across large parts of the world, high rates of unemployment, and low wages combine to hold men back from relationships (especially in places where high dowry payments are expected), and therefore from starting families. Even in places where it is possible to become a parent without an expensive wedding, fertility rates are falling: Inhorn mentions Greece, Spain, and France as facing age-related fertility problems, in part because young people can’t afford the trappings of adulthood, like their own place to live. In a range of places where women are able to access education and careers they have begun to do so with zeal, often overtaking their male counterparts. One key metric is attainment at university, where women globally are becoming the majority of students, both applying in greater numbers, as in Sweden, and completing more degrees, as in South Africa. While both men and women can experience waithood, the situation of singledom becomes more pressing for women as biological imperatives loom. Most people, globally, want children, and men can become fathers at later stages of life. But even with advances in fertility, there are clear indicators about the increased difficulties women can face getting pregnant later in life. But it’s not just university education that’s making women wait. A recent multi-country study from sub-Saharan Africa found that even when women themselves hadn’t received more formal education, they were likely to delay marriage if more educated women around them were doing so. Many of these women aren’t waiting until their 30s; but they are pushing back against the traditional model of marrying in their teens, wanting to instead gain some life experience first. Whether by choice, accident, or a combination of the two, more and more educated and ambitious women are finding themselves unable to find the mate that they want at the time they’re searching. It’s not for lack of trying. The kind of men they are searching for - available to embark on family life, ready to commit, and with similar levels of education and ambition - simply aren’t there in as great numbers as are needed. Journalist Jon Birger - a co-author on Inhorn’s egg-freezing research - noted the disparity among American women in his book Date-onomics. In the US population as a whole, for the time when the egg-freezing research was carried out, there were 7.4 million university-educated American women aged between 30 and 39, but only 6 million university-educated American men. “This is a ratio of 5:4,” the study notes. What are women doing in the face of the disparity? Many are taking what action they can. In the west, that might be internet dating: In 2016 the Pew Research Center found that 15% of American adults had used dating apps, and meeting online has moved from a niche romantic practice to the mainstream. 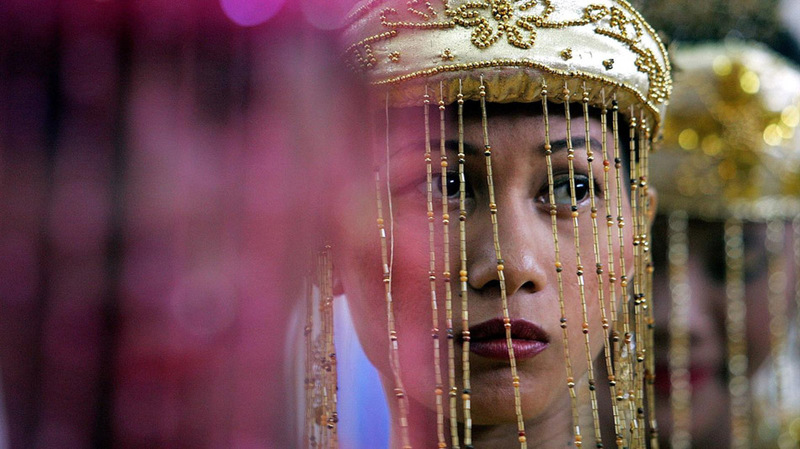 In a predominantly Muslim culture like Indonesia, some are turning to matchmakers, or to events that offer introductions to potential partners. But a bigger solution to the issue might be a paradigm shift, the academics suggest. Both women and men may have to start thinking truly differently about those gender roles, and what they want from a marriage. One obvious solution is for women, men, and the societies around them (including influential figures like parents) to accept the idea of women becoming the major breadwinner for families, Smith-Hefner said. Such a shift could include women marrying men who are younger than themselves, or men who have less formal education. In order for that to work, societies would need to get over their prejudices. But of course, there are other problems than social judgement. People pair off for a vast number of reasons, and it’s notoriously difficult to change who one is attracted to simply by effort of will. More common, then, is waithood: A lingering, liminal state in which women and sometimes men put the next stage of their lives on hold because they’re unable to find the partner they want or are held back by financial imperatives. Formal marriage isn’t the only structure in which to have a family, and people are certainly experimenting with other ways to progress to the next stage of life, including not having children, or having and raising them in less traditional contexts.